Having food allergies and restrictions can be difficult for anyone. You may fee isolated , left out, always on edge. In each stage of life, different struggles and situations arise. When you’re a child you may feel like life is so unfair because you can’t eat that cupcake at your friend’s birthday party. As a teenager you might feel like a huge loser because you have to turn down that slice of pizza. As an adult you may be put in so many awkward situations involving food like work parties, weddings, even normal family functions. But one period of time that can be most difficult is that defining stage of “young adulthood”. Your just finishing high school, going to college, and then trying to find your way in the hustle and bustle of real life through your 20s. You are going to encounter so many new things and so many huge changes. Having Celiac or any food allergy only makes this time that much more difficult to navigate. Is it possible to be successful even with your allergies and everything else that is coming your way? It is, it can be, and most importantly, you’re not alone! I asked some of my gluten-free celiac friends their top advice and tips on being a young Celiac and still living life! This is out time to shine and show the world just what we are made of. It is not the time to sink away in allergy-defeat. We need to break out, branch out, and make an impact. These lovely ladies have shown that it can be done no matter what situation you find yourself in. They embrace their gluten-free life to the fullest and they do not let it stop them from achieving their dreams and what they want out of life. Their still dealing with the hurdles of being a young adult, but Celiac ain’t one of them! My name is Allie, and I am going to be a junior in college this year. I started my blog gfreebennie.blogspot.com after going gluten-free 2 years ago due to gluten sensitivity. I blog about tips for gluten-free college students, my own gluten free recipes, and my adventures studying abroad as a Spanish major. Hi, I’m Amber! A twenty-three year old girl crafting up gluten-free and (mostly) dairy free creations in my kitchen. I don’t let my severe IBS or Celiac Disease hold me back from fueling my body with food that is both delicious AND nutritious. Life’s too short to live off of only salad! I blog over at Eats and Exercise by Amber sharing easy recipes, positive vibes and body image promotion, as well as my love of fitness. I believe that in order to be healthy, you must first be happy and that comes from self-love and a positive mindset! For daily doses of inspiration, follow me on instagram @eatsandexercisebyamber. My name is Casey and I’m a college celiac at Point Loma Nazarene University! After my diagnosis, I started a blog all about the successes, struggles and stories while surviving gluten-free in college. Now, I love sharing restaurant reviews, recipes and all the craziness of a life full of veggies, celiac drama, school and friends. And, of course, connecting with all the other celiacs tied their computers! My name is Chynna, and I’m currently a senior studying biochemistry at Rice University. I was diagnosed with celiac disease a few months prior to my thirteenth birthday, and since then, have learned to manage and embrace the disease. When I entered Rice, I realized that though numerous sources of support exist for those with celiac disease, an important demographic, college students, is often forgotten. College is a time where those with celiac disease must learn to embrace and follow the gluten-free diet; however, we are often put in situations where we may feel alienated because of our disease, and need to find others we can relate to. I began my blog with the goal to unite college students with celiac disease through a variety of recipes, anecdotes, tips, and product/restaurant reviews. Kristy is a 21-year-old Australian healthy living, food, travel, and lifestyle blogger. She is also a freelance writer and the owner of KISS Freelance. She recently married her sweetheart Jessie in October of 2013. Kristy was diagnosed with Celiac in January of 2012 and has been gluten-free ever since. The Southern In-Law is Kristy’s place to share her passion for allergy-free living and loving life as an amazing young woman. Take every situation and difficulty head on. Don’t miss out because you think you can’t or you think everything is going to be a complete failure. Embrace your differences and make them a part of who you are and who you want to be. Your allergies and restrictions will only make you stronger and will only give you more drive to find success. Your peers will be jealous when then see you quickly moving up the ladder because you know you want success, happiness, and health. Your not embarrassed or ashamed, you’re not scared to life your life. 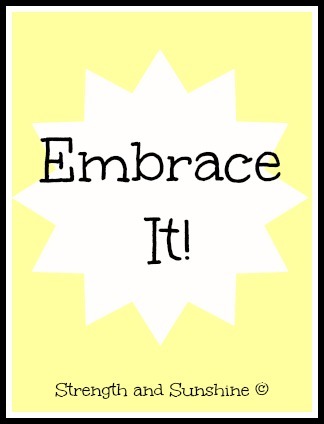 You won’t let anything stop you because you embrace it all and you take it with stride! Be a Gluten-Free Warrior! + How did you deal with your food allergies as a young adult? + What difficulties do you find with having food allergies in social situations? + Have situations changed as you get older with your allergies? This is such great information about Celiac and gluten free needs. Thank you. I have food allergies and it is always great to see new recipes and ideas to keep things interesting. We also eat organic and this can be a challenge when you try to add both into the mix. You usually have to make everything from scratch if you want to keep your sugars and GMOs low. Stopping in from Unite. Add in a soy allergy and being egg, dairy, and meat free, and then tell me what a challenge is! It’s easy at home, but when your not there (like college) it is a struggle! Such a great article. People forget there are social issues that pop up with allergies and eating troubles and the social issues can be just as uncomfortable as the allergy/problem itself. Thanks for bringing this to light! Yes, allergies are so much more then just the physical body! Their emotional and social. I didn’t even know I had an allergy in college. I explained symptoms as stress and bad eating. Now I know better and words can’t even describe how much better I feel! Allergies and Celiac are so tricky! So many people go years and years without knowing the cause and thinking that’s just how they have to feel. But it is SO great to figure it out and be able to finally embrace it and feel good! Personally, I have been super fortunate to grow up without any allergies, however, I had a friend who was gluten-free and I know it was a big struggle for her. She was gluten-free for almost her entire like so I think that made it easier to deal with the restrictions, as an adult she has so many food options now from years of editing recipes and making it work! Yes! The longer you’ve had time to figure things out the better off you are. I can imagine how hard it would be to be diagnosed right in the midst of college or some other pressing time. I found out 5 years ago so I’ve had time to figure most things out! Fantastic post!! It is definitely hard to be the only one with a specific type of diet. I’m doing an anti-reflux diet right now and my friend invited me over for dinner tomorrow night… I had to tell her all my restrictions! She understood, but it’s hard to inconvenience people like that. That’s why I always find it easier to just bring my own food everywhere! Love this post and love you, gorgeous girl! I totally agree! I think there may be more positives then negatives when you really think about all you’ve learned and gained! This was a great post! Thank you for letting me be a part of this! 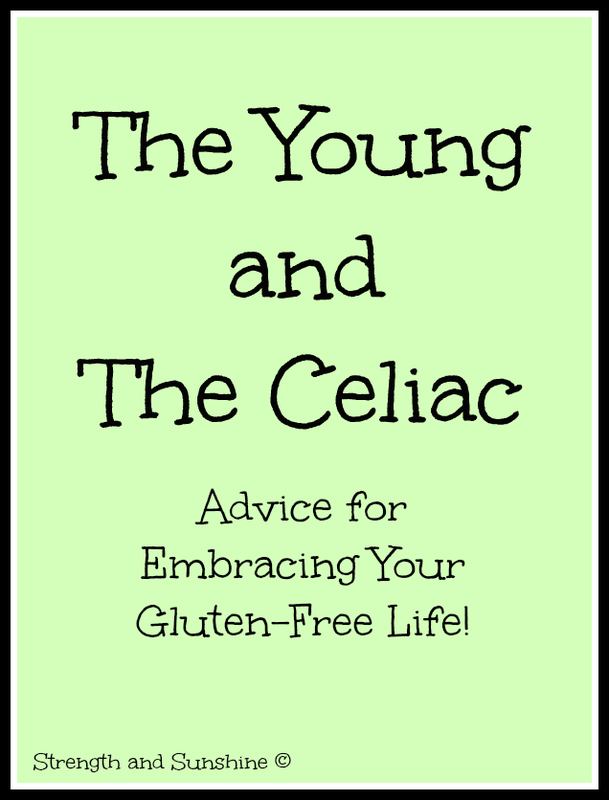 It’s great to see the internet’s young celiac bloggers come together on one post! These are great tips for anyone with celiac or a gluten insensitivity. It’s not an easy disease and I think often times people don’t understand the magnitude of it. Although our family does use gluten free recipes from time to time, we are not on a gluten free diet. But I have friends with kids who have celiac, and my own son had a severe wheat allergy when he was younger that caused us to go on a gluten free diet for a couple of years. He would pass out and stop breathing, and we spent months in and out of hospitals as they tried to figure out what was happening with him. We didn’t want to take any chances so we went completely gluten free during that time frame. Celiac is no joke and neither are any food allergies. We have to continue to educate people and the true consequences and difficulties of them while we try our best to life as happy and healthfully as possible! I need to remind myself of my own words too! I’ve got to reread it everyday 😛 So a sticky note sounds perfect! being your own advocate is so important… in all aspects of life! Yes! That is 100% true! You have to stand-up for yourself and assume no one is there to help you make it easy! Such great advice! I have a gluten allergy that I didn’t realize existed until after college (explains a lot of how miserable I was in college though). I had the opportunity to go back to said college for a few meals last year and realized that there was virtually nothing I could eat except for very basic salads and then only a couple of the dressings. While I realize it isn’t feasible to go totally gluten free on a large scale for a college, I do hope that there are more options for students in the future given that at this particular college the dining plan is part of the tuition cost and dining halls are located within residences (making it kind of silly to pay for food elsewhere). Well, we celiacs do have to be “gluten-free on the large scale” our whole lives, including college. We have to make many accommodations and plans. Colleges are not easy to work with (especially mine), but we have to make it work. It’s sad that it is so difficult and even institutions like these are so uneducated about the impart of food allergies.